Chillax Cafe the name itself sounds kind of cool isn't it? Now it is even more cooler with the installation of air conditioning. 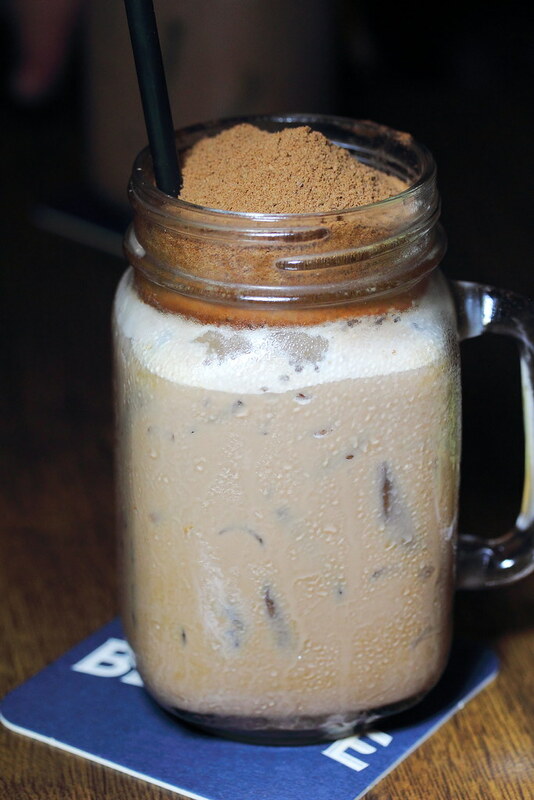 Yes after all these years, Chillax Cafe at Serangoon Garden has finally piped up the cool air in the cafe giving guests more reason to chill and relax now. 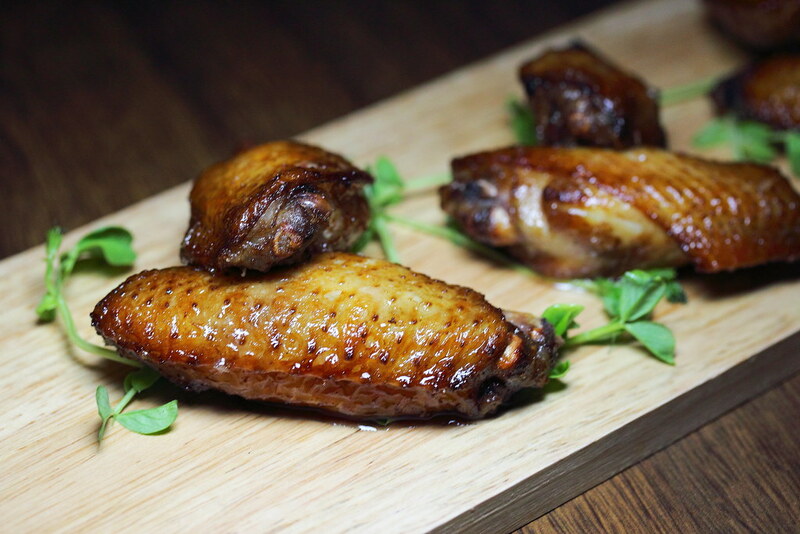 The Root Beer Chicken Wings ($14) definitely arouse my interest to try it. The chicken mid-joints was marinated with A&W Root Beer for sweetness and then fried to crispy. The wings were really succulent with hints of root beer taste. However I felt a lift in sweetness will be even nicer. 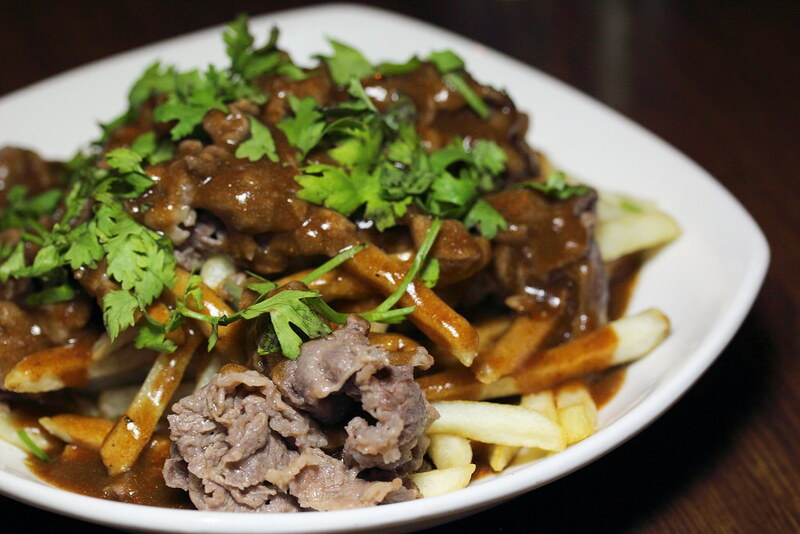 If you don't mind your fries to be soaky, the Shabu Beef Poutine ($13) is a worthy item on the menu to try. This goes very well with a couple of drinks too. The french fries are served with beef slices and rich gravy made with pan jus and truffle oil. 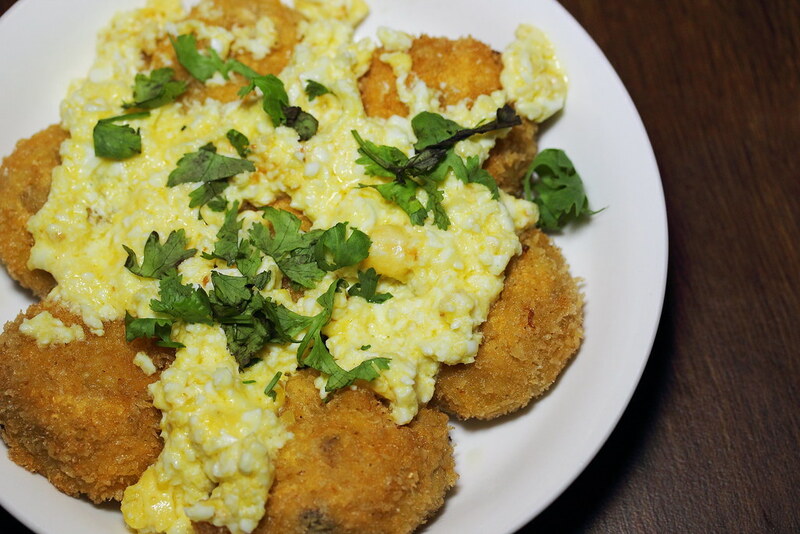 The Salted Egg Mushrooms ($9) were breaded and deep fried to a crispy exterior. They are then topped with the salty salted egg sauce. When it says salted egg it really comes with chunks of the egg white that gives it a good saltiness.Another interesting conceptualized dish but it somehow did not seem to complement each other. 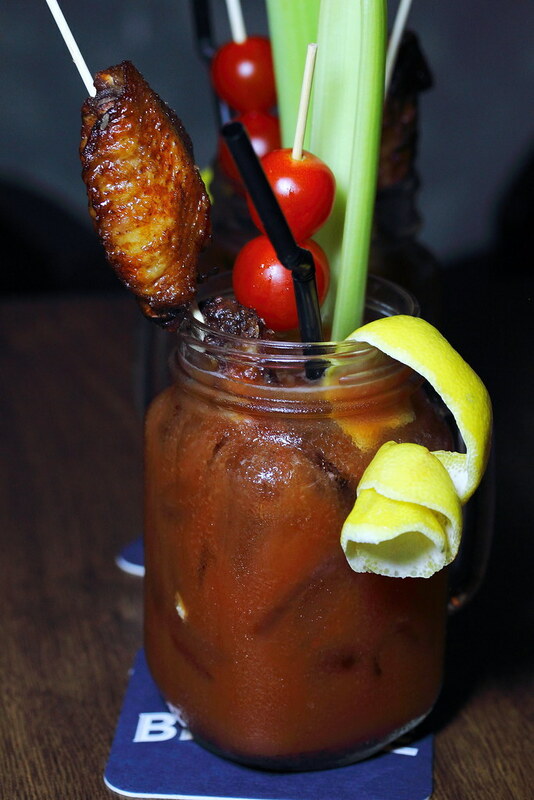 I am not sure how Chillax would thought of garnishing their Bloody Mary with Chicken Wings? Initially I thought it was weird but not until my recent trip to Canada where I came across the same concept. Order a drink and get a free chicken wing, why should I complain? For a more substantial meal, there is the Double Beef Steak Stack ($20). 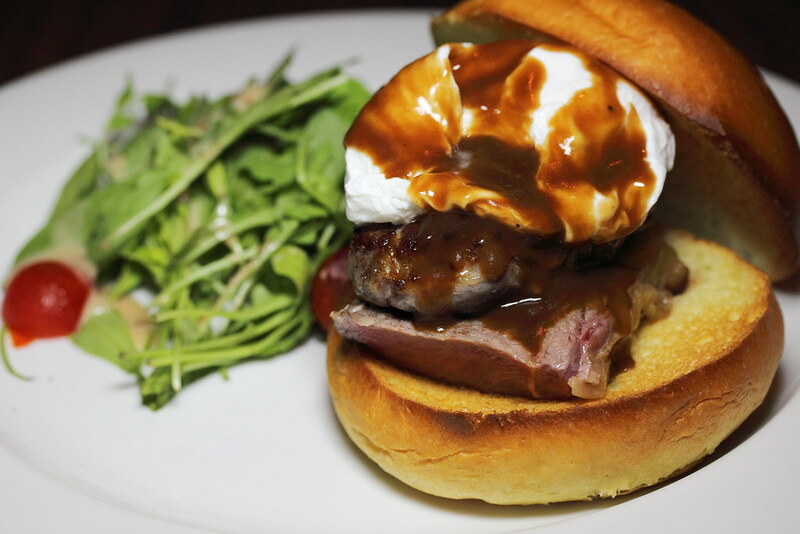 It comes with pan seared Aussie grain fed sirloin steak and poached egg in between brioche bun. Besides the ala carte menu, Chillax also serves a Brunch menu over the weekend and public holidays. 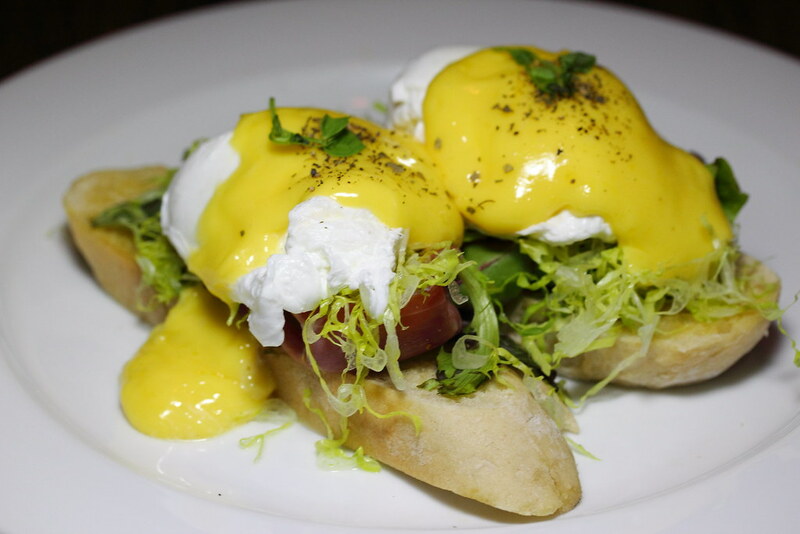 A classic item on every brunch is the poached eggs benedict. At Chillax, the Breakfast AT Tiffany's ($16) which is the poached eggs benedict, is served with parma ham, greens, toast and homemade yuzu hollandaise sauce. The sauce was a bit light for my liking, I would prefer something richer in taste. 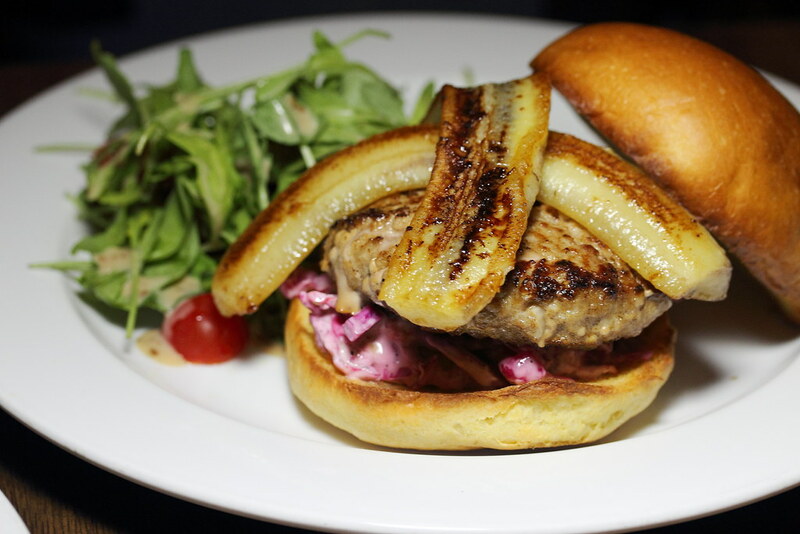 The Marmite Pork Burger ($17) comes with caramelized bananas and crunchy purple slaw, served with side salad. I enjoyed how the sweetness of the banana complemented the pork patty. But the patty was a bit dry in my opinion. 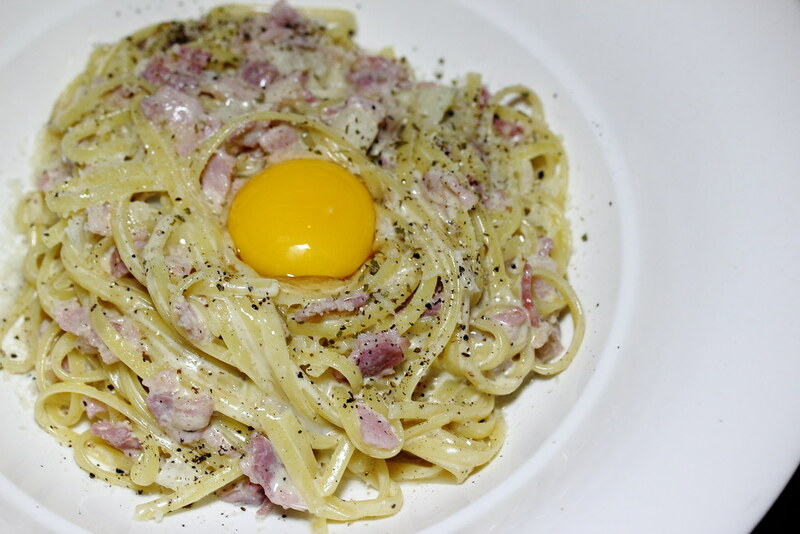 I have heard so much about Chillax's Carbonara ($18). 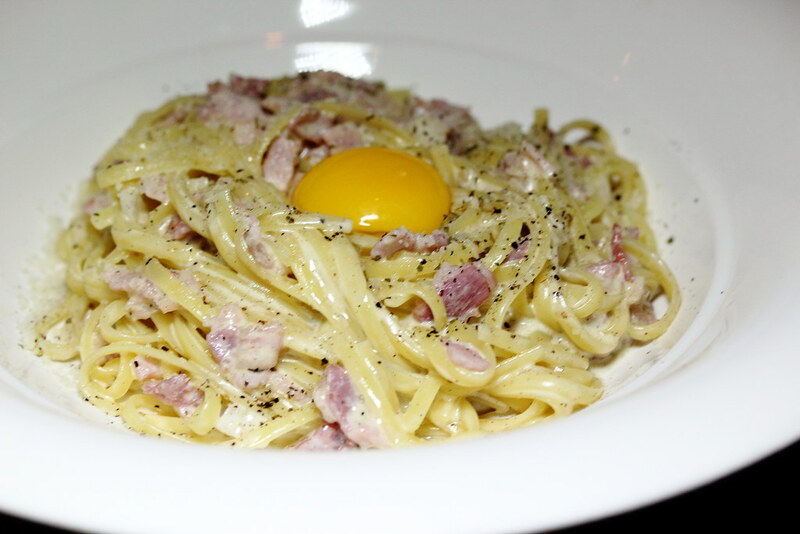 The signature dish which comes with bacon, egg yolk, and parmesan cheese in a light, yet luscious cream sauce was purely slurping goodness. 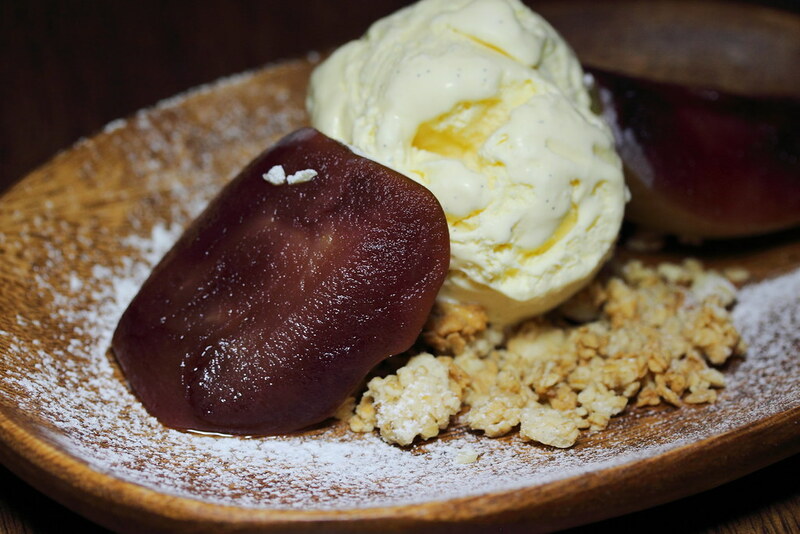 We finished up with the Poached Pear with Ice Cream ($10) for dessert. Not overly sweet and yet still comes with a nice crunchy bite on top of the poached softness. There are more reasons to visit or re-visit Chillax Cafe with the new Big Brunch Affair offering on weekends and public holidays. Moreover, they have installed air conditioning, so you get to dine in an even more chillax environment now.